The nomination process is now OPEN for coaches and teachers to nominate suitable boys to join the Saracens Kent U14 Rugby Developing Player Programme. Nominated players should be those with above average talent. To assist you in making the correct assessment and for further information regarding the programme see our helpful guide HERE. 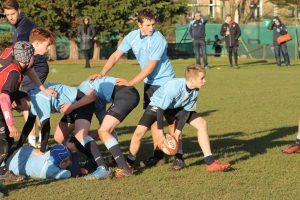 This form is for use by Kent Club Coaches/Teachers, it enables you to nominate boys in the U14 age group into the Saracens Kent U14s Developing Player Programme (DPP) for season 2018-19. WHEN USING THE ONLINE NOMINATION SYSTEM PLEASE ENSURE THAT YOU READ ALL THE IMPORTANT GUIDELINES. FAILURE TO FOLLOW THIS WILL MEAN THE PLAYER WILL NOT RECEIVE AN INVITE INTO THE PROGRAMME. All information will be retained in line with GDPR guidelines and our Data Protection Policy can be found on our website HERE.